08/11-Elton John announces the first 2020 UK and Ireland dates of his colossal Farewell Yellow Brick Road tour. Kicking off with two dates at The O2, London (6th and 7th November 2020), the arena tour will then take in Birmingham (Arena, 9th and Resorts World Arena, 11th Nov 2020), Liverpool (Echo Arena 13th and 14th Nov 2020), Manchester (Arena 17th and 28th Nov 2020), Aberdeen (TECA 20th and 21st Nov 2020), Glasgow (The SSE Hydro 24th and 25th Nov 2020), Belfast (SSE Arena 30th November), Dublin (3Arena 4th December) and Leeds (First Direct Arena 7th Dec 2020). Tickets for this latest run of UK shows go on sale on Friday 16th November at 10.00am - See also:- Sunday 9th June 2019 - The 1st Central County Ground, Hove - Saturday 15th June 2019 - Cardiff City Stadium On-Sale Now! 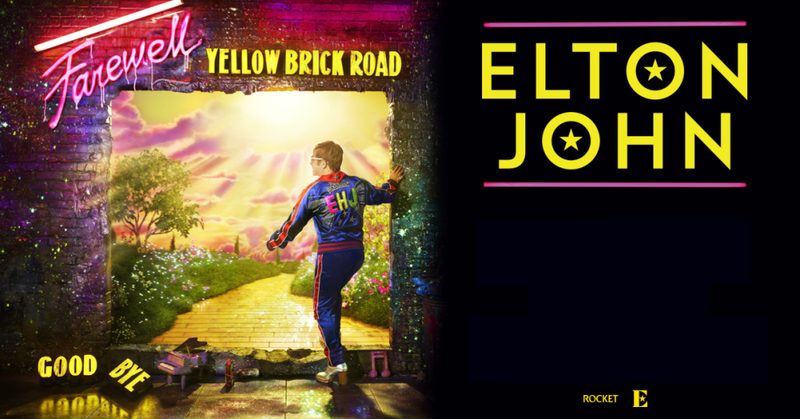 Speaking of the UK and Ireland dates Elton John says “The Farewell Yellow Brick Road tour will take us to many places that have meant a lot to me over the last fifty years but these shows will be incredibly special. To celebrate some of the incredible moments we’ve shared with my fans over the years will be wonderful. These homecoming shows will be very emotional and a lot of fun.” - Kicking off in the U.S. in September, the ‘Farewell Yellow Brick Road’ tour has already been greeted with a wealth of praise from critics and fans alike. The three-year tour will consist of more than 300 shows across five continents, hitting North America, Europe, Asia, South America and Australasia before reaching its conclusion in 2021 - See also Elton John U.K. 2019 outdoor shows - The 1st Central County Ground, Hove Sunday 9th June and Cardiff City Stadium Saturday 15th June!